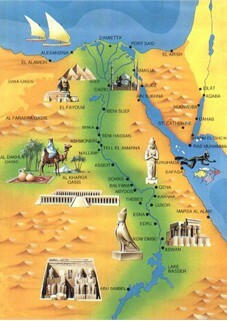 Tourism for Egypt is not just a breath of fresh air that adds a bit of revenue or a touch of elegance. Instead, it is and always will be the backbone of the Egyptian economy and the livelihood of millions of Egyptians. Many people in Egypt have been severely hit over the past seven years, with all their turbulence, acts of terror and efforts made by the Muslim Brotherhood group and its supporters to send a message to the outside world that Egypt is an unsafe place. The straw that really broke the camel’s back came in November 2015 when a Russian plane crashed over the Sinai Peninsula killing all 224 people on board. The significant drop in the number of tourists arriving in Egypt from 14.7 million in 2010 to 5.4 million in 2016 meant annual revenues falling from $12.5 to $3.8 billion. Some 12 per cent of Egypt’s workforce was working in tourism in 2010. Unofficial estimates point to a similar percentage of those working in the informal job market related to tourism losing their jobs as papyrus vendors, camel and horse owners, bazaar workers and so on. Some of these millions have switched to working as taxi or Uber drivers, street-vendors, underpaid daily workers and other similar jobs that are here today and probably gone tomorrow. However, tomorrow, which millions of Egyptians dream of as seeing the country once again getting its fair share of tourists, starts today. The many challenges that face Egypt’s tourism sector have not yet been confronted, let alone solved. While the most dangerous problem facing the tourism industry has been dealt with to a great extent, namely terrorism, there is still much to tackle. Travel and tourism experts say that the three pillars of a successful tourism industry are security, safety and comfort. The most difficult and demanding pillar, security, has been dealt with by Egypt’s security personnel, including in Northern Sinai. However, now is the time for a revision in attitudes among some of those working with tourists in their jobs, or among regular citizens who come across tourists in public places. Shop-keepers, street-vendors, taxi-drivers, passengers on public transport, and passers-by — all of these must remember that it is not necessarily nice to be stared at. It is not cool to pose for pictures with female tourists. If the latter are looking for male friends, they will let this be known. In the meantime, they should be left to themselves. The safety of tourists remains difficult to measure. Whereas the official advice given by some countries to nationals visiting Egypt remains that there are some “concerns”, the experiences of actual tourists are different. Harassment remains a problem that has to be tackled, but pretending that some tourists are sitting on the edges of their chairs throughout their stay in Egypt would be a huge exaggeration. The unfortunate death of a British couple in Hurghada in August saw the UK’s tabloid newspapers investigating food-poisoning, air-conditioning, and hygiene at Egypt’s hotels and resorts just hours after the announcement of their deaths. Pictures of what was said to be “raw chicken” served to guests in some hotels were circulated, and this was claimed as having contributed to the deaths. The feelings of loss and grief at such an incident can be appreciated, and one also fully appreciates the efforts made by the media to uncover what can be uncovered to help people to understand what happened. However, in this case some of the British media took the chance to hit hard where it hurts most without even waiting for the final autopsy reports to be released. Likewise, the hasty and unplanned announcement of Red Sea Governor Ahmed Abdallah that the British couple died of natural causes, also without waiting for the results of further investigations or the autopsies, was ill-advised. The British tabloids strongly hinted that the couple had died due to an error made by the resort, and the governor jumped to his conclusions in an attempt to clear Egypt’s reputation. Marring Egypt’s reputation as a tourist destination by sending messages saying that either the food, the air, the people or all together are detrimental to tourism is an extremely harmful thing to do for the country’s economy. Likewise, officials dealing with tourist issues or accidents as if they were addressing people in the Middle Ages when everybody simply believed the voice of authority is equally harmful. However, despite such unfortunate accidents, there has been much good news. According to a recently released UN World Tourism Organisation (UNWTO) report entitled “Tourism Highlights”, Egypt has recovered from years of political unrest and is now seeing a growth of 55.1 per cent in international arrivals over previous years. The report goes on to say that visitor numbers to Egypt have rebounded from both traditional markets in Western Europe and emerging markets in Central and Eastern Europe, the Middle East and Asia. The recovery is due to promotional efforts and a return of confidence, it says. Confidence is not built overnight, and it is also cannot be taken for granted. It is a feeling born of investing effort in work, education, and adaption to change, as well as the will and ability to face one’s own problems. Yet, the problems that some people see as petty are actually huge when it comes to travel and tourism in Egypt: road accidents, reckless driving, the absence of regulations, street-vendors, getting rid of rubbish properly, harassment, extra fares, and last but not least underestimating the country’s capacity are just some of the problems that need to be dealt with. Egypt is top of the list of the world’s up-and-coming tourist destinations, its growth seeing a 55. 1 per cent between 2016 and 2017 increase followed by Togo (46.7 per cent), San Marino (31.1 per cent), Vietnam (29.1 per cent), Georgia (27.9 per cent), the Palestinian Territories (25.7 per cent), Niue (25.4 per cent), Nepal (24.9 per cent), Israel (24.6 per cent) and the Northern Mariana Islands (24.3 per cent). Please make the best of this while it lasts. * The writer is a journalist at Al-Hayat.